Overlooking the Arnold Palmer designed golf course in desirable Lake Forest with lake views, sits this spacious, custom-built home. The convenient, open floor plan is perfect for family living as well as entertaining. The first floor features a formal dining room, office, great room, kitchen open to hearth room, and first floor master suite. Three bedrooms and two full baths are located on the second floor. In the walkout lower level there are two additional bedrooms, a full bath, family room, and game area. Hardwood floors throughout most of the first floor, built-ins, and Corian countertops are just a few features of this home. Enjoy the Lake Forest Country Club that features golf course, clubhouse, pool, tennis courts, dining and social activities. 2417 Crystal Springs Pl, Louisville KY 40245 is a Home, with 6 bedrooms which is recently sold, it has 6,221 sqft, 0 sized lot, and 3 Car Garage,Attached parking. 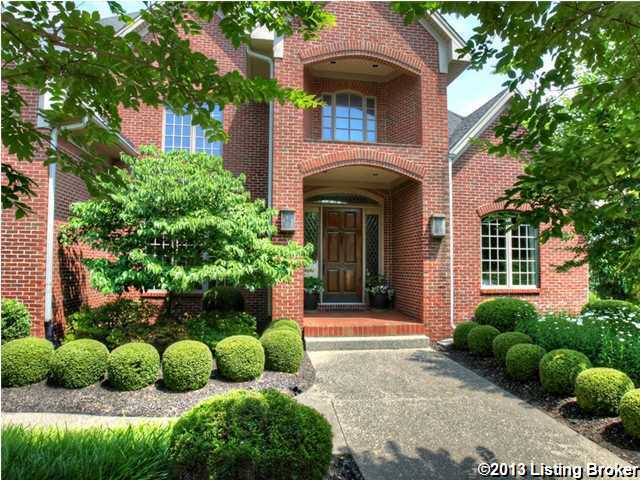 A comparable Home, has 4 bedrooms and 2.5 baths, it was built in and is located at 14303 Glensford Pl Louisville KY 40245 and for sale by its owner at $ 389,000. This home is located in the city of Louisville , in zip code 40245, this Jefferson County Home, it is in the LAKE FOREST Subdivision, and Woodmont are nearby neighborhoods.